NTCF faithful reader Steve in Texas recently emailed me asking when I was going to show Jeff Green some love. After Green torched the Suns for 31 points 7 rebounds and 4 assists, I figure there is no better time than now. Jeff Green is the most polarizing figure on the Celtics. There are a group of fans that hate him because he was the get back in the Kendrick Perkins deal. There are fans who don’t have an opinion of him because he is too inconsistent to formulate an opinion on. Then there are fans, like me, who root hard for him to succeed and love it when he does. 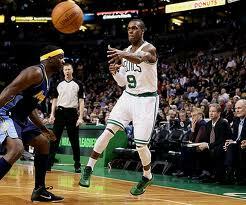 Since Green arrived in Boston in February of 2011, I thought he would be the heir apparent to Paul Pierce. But he got off to a slow start in 2011 with the Celtics, missed all of 2012 because of a heart condition, and has been so-so in the 2012-2013 season. Steve in Texas brings up a great point however. 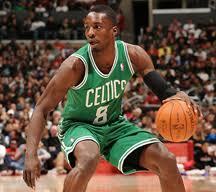 Jeff Green came into the league with the Oklahoma City Thunder. He was an offensive option behind Kevin Durant, Russell Westbrook, and James Harden. When he came to Boston he was an option behind Paul Pierce, Ray Allen, Kevin Garnett, and Rajon Rondo. He is still behind Pierce, Garnett, and maybe Terry on the offensive end as the team is currently constituted. If you ask me, it’s pretty unfair for the Celtics fan base to expect Jeff Green to “be the man” when the egos and pecking order indicate a different reality. Much was made about Danny Ainge not pulling the trigger on deals that would send Pierce and Garnett out of town so the Celtics could build for the future. Many of you will say I am wearing green shaded sunglasses, but I believe the Celtics’ future is Jeff Green. Until recently when has Doc Rivers been able to showcase Green? The first game the Celtics played without Rondo because of his ACL injury, Jeff Green did an admirable job against the best player in the league, LeBron James. He has also shown an uncanny ability to drive to the basket and throw down thunderous dunk after thunderous dunk. His outside shooting has come along rather nicely in recent weeks as well. Even Kobe has to raise an eyebrow when he sees that Green had 31 points on just 14 shots against Phoenix. Lastly, to those people that hate Jeff Green because we lost Perk to the Thunder; Just stop it. Kendrick Perkins has been terrible for the Thunder. I don’t want to hear the argument that he and Garnett were mean defensively and gave the Celtics and identity. Making mean faces and setting bad picks is not worth $30 million over 4 years. Perkins is averaging 4 points and 5 rebounds in 25 minutes a game for the Thunder. He is ridiculously slow, bad on rotations, and provides 0 offense. Perkins is effectively done. 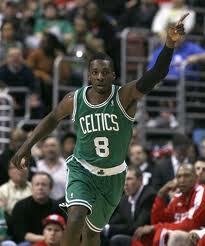 Jeff Green can be and will be productive now and in years to come. There is no true recap for tonight’s game. Truth be told, I didn’t pay close attention to it like I have the previous 4. Yeah, we lost to the Philadelphia 76ers and they didn’t have their franchise player, Andrew Bynum. There are many Celtic fans standing on the Tobin ready to hoist themselves into that dirty water. I don’t understand why. We are all upset the Celtics aren’t 5-0 right now, instead they are an ugly 2-3. 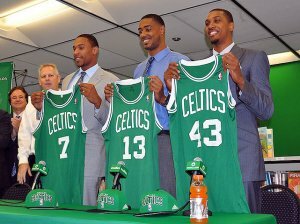 My view on the 2012-2013 Boston Celtics? It is an 82 game audition for the playoffs. The Celtics easily have the most talent on an NBA roster from 1-12. As Celtics fans we must temper our expectations this early. When LeBron first took his talents to South Beach, the Heat started out 9-8. We know what they did from there. The Lakers are in absolute panic mode after starting 1-4. They fired their head coach! The bottom line… Hey Celtics fans, show some trust and have faith in your squad. I am yet to talk about Courtney Lee through the first five games of the season. Truth be told, I wanted the Celtics to use the package they used to acquire Lee, to go get Marcus Camby. They didn’t. I am over it. It did not happen. Courtney Lee hasn’t been good, he hasn’t been bad. I consider Courtney Lee vanilla ice cream. I mean, its ice cream, but there ain’t no chocolate chips, no cookie dough, no fudge, but it’s ice cream. Courtney Lee is purgatory. He is just there. I love his on the ball defense. But he cannot rotate on D if his life depended on it. I am starting to wonder if Doc should start Barbosa with Rondo. I have no problems with Lee but I don’t like him either. In my heart of hearts, (no pun intended because it’d be a God awful pun) I think Jeff Green wants to do big things every time he is on the court. 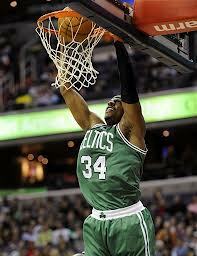 For us Celtics fans, he is the next Paul Pierce. Green needs to relax and let the game come to him. He is a very good basketball player. He shows flashes of brilliance every few possessions. I find myself getting so excited every time he touches the ball thinking, this will be when he breaks out. I need to temper my expectations and he needs to chill out and let the game come to him. It should be noted Rondo had 20 assists tonight. I am waiting for someone to tell me he isn’t the best point guard in basketball. I love arguments. If no one is going to tell me he isn’t the best in the game at what he does I will start campaigning he is the best player in basketball. You don’t think I will? Ask anyone that knows me. Let’s go. The Celtics have a quick turnaround and travel to Milwaukee. Milwaukee has had it’s fair share of visitors. The French missionaries and explorers were coming there as early as the 1600’s to trade with the Native Americans. It is actually pronounced “mill-e-wah-que” which is Algonquin for the “good land.” (What movie?). Last night, after Miami put on the finishing touches of a 120-107 opening night win against my beloved Boston Celtics, I really wanted to sit down and hammer away all my thoughts on to this blog. Truth be told, I am getting old and I fell asleep after the game. It is likely better that way, as I have had time to organize my thoughts and not publish my patented knee jerk reaction that I am famous for. I would like to continue this type of post but any faithful reader of NTCF knows our promises usually ring hollow. I will simply take it game by game. So without further adieu, here is my thoughts following last night’s game. I will spare everyone the tired “Ray Allen is my ex-girlfriend from high school” analogy. Whatever the case may be, he didn’t want to play in Boston anymore. He wanted to live tax-free in Miami, play golf on his off days, and ride the coat tails of LeBron James and get another ring before he called it a career. Boston fans have been “betrayed” before. No doubt it stings a little bit more when a fan favorite decides to go play for your most bitter rival. See Damon, Johnny. I admit, I had a sense of rage seeing him don a Miami Heat uniform. I was happy that KG ignored him when he thought during the game was the perfect time to try to clear the air and get some “daps.” Yes, it did hurt to see Ray pour in 19 points on 5-7 shooting and 2-3 from long range.What hurt more than his stats, however, were the times when the Celtics needed a bucket and couldn’t get one. Because it was those times over the last 5 years that Doc could draw up a play to free up Ray Ray and he would bury a jump shot. That is what I will miss most about Ray Allen. Maybe the emotion was too much for the Celtics last night. Kevin Garnett and Jason Terry were awful for the most apart. Garnett has been known to get himself so psyched up that he can’t produce. Last night was one of those nights. Maybe it was the ring ceremony prior to the game, maybe it was the national spotlight, maybe it was playing against a former brother, maybe it was everything combined but KG was largely ineffective last night. 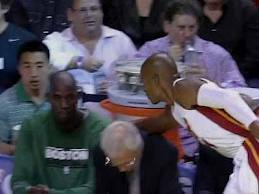 I also believe that Jason Terry was caught up in the moment of trying to hard to be better than Ray Allen. He was all over the floor and not in a good way. His shots were out of rhythm and his defense was sorely lacking. I found myself very concerned about Terry. He is not a true point guard and I am not sure how his game is going to translate when being asked to bring the ball up the floor, something he is not accustomed to doing. Jeff Green was a no-show last night as well. I am willing to give him a free pass at the start of this season though. He is coming back from open-heart surgery. At this point last year, he was probably thinking that he would never play again. Believe it or not, life is more important than sports. I think Jeff was a bit emotional last night and wasn’t able to get into the game. I am excited to have him back this season and I look forward to having him play with a full training camp under his belt with the Celtics. Once the chemistry is established he will be essential to the team’s success. 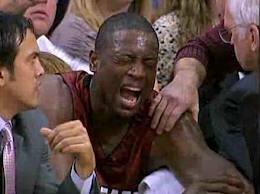 What I took away most from last night’s game was how much I now loathe Dwayne Wade. Every time he takes the ball to the basket and loses it he stops and stares down the ref. He has become the biggest (insert derogatory slang term for the female reproductive organ here) in the NBA. He has the audacity to call Rajon Rondo a punk after the game last night. This is the same guy who dislocated Rondo’s elbow with a cheap shot 2 years ago in the playoffs. This is the same guy that bridged Darren Collison last season. This is no longer the guy that had the awesome commercial, “I fall down 7 times and stand up 8.” It also drives me crazy that refs allow him to use his off-hand to stiff arm his defender when he drives to the basket. It was probably the most pivotal play in the playoffs last year and it happened again last night. At this time last year, I despised LeBron James. After what LeBron did in Game 6 last year, I…I… (gulp) respect him. Now, my hatred, my disdain, my insurmountable intense dislike is toward Dwayne Wade. I am really hoping Doc lets Jared Sullinger play. My one qualm with Doc Rivers is his knack for not letting rookies play. Sullinger will be needed this season. He will be needed to give Garnett rest. He will be needed in the front court. He is a large part of the future of the Boston Celtics. Doc played him 8 minutes last night. I understand there may have been matchup problems for him but I sincerely hope that Doc sets aside his policy about giving rookies minutes, and he lets the kid play. I came away from last night’s game realizing the Boston Celtics-Miami Heat rivalry has surpassed the Red Sox-Yankees rivalry in my eyes. The reason for that is two-fold. 1) The Red Sox are largely irrelevant right now and will be until they straighten out their operation. 2) LeBron has been public enemy #1 for the Celtics since the Big 3 arrived in Boston. Now one of the members of the original Big 3 have joined forces with the enemy. The Celtics are the only team in the NBA that have, can, and will take the Heat to 7 games in a playoff series. 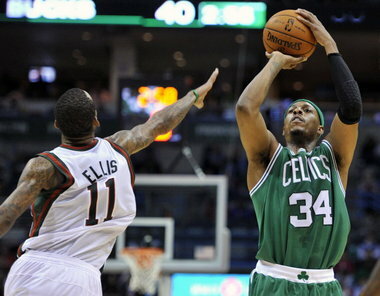 Next up for the Celtics: Brandon Jennings and Monta Ellis bring the Milwaukee Bucks into Boston on Friday November 2.